I love the idea of Julie & Julia. Learning how to cook by working through all of the recipes and techniques in ‘Mastering the Art of French Cooking’. I just can’t handle the idea of an aspic. Who want’s to eat a savory jello? Butter and flour the cake pan. Set the chocolate and rum or coffee in a small pan, cover and place (off heat) in a larger pan of almost simmering water; let melt while you proceed with the recipe. Measure out the rest of the ingredients. Turn the batter into the cake pan, pushing the batter up to its rim with a rubber spatula. 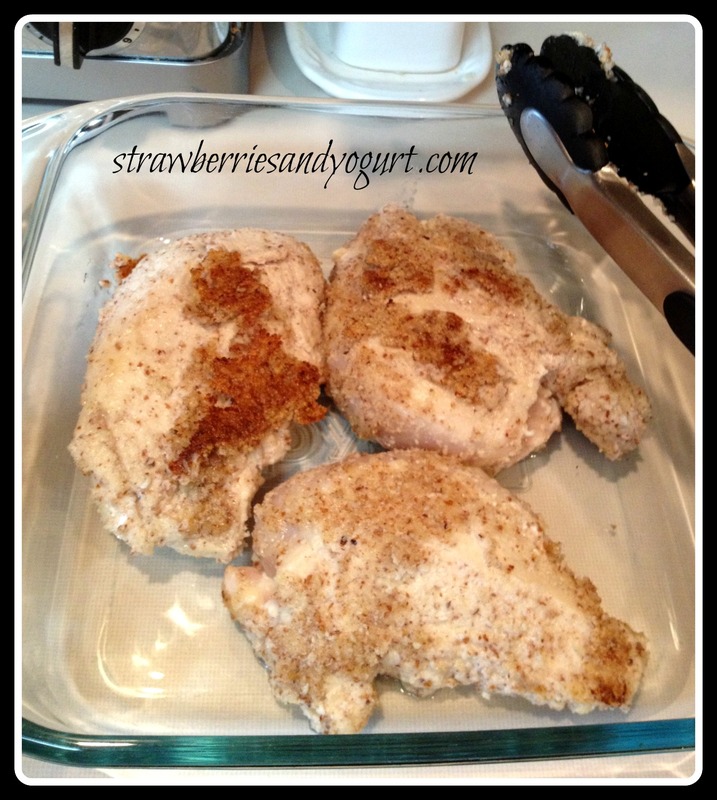 Bake in the middle level of a preheated oven for about 25 minutes. Cake is done with it has puffed and 2 1/2 to 3 inches around the circumference are set so that a needle plunged into that area comes out clean; the center should move slightly if the pan is shaken, and a needle comes out oily. Allow cake to cool in the pan for 10 minutes. Run a knife around the edge of the pan, and reverse cake on a rack. Allow it cool for an hour or two; it must be thoroughly cold if it is to be iced. Place the chocolate and the rum or coffee in the small pan, cover and set in the larger pan of almost simmering water. Remove the pans from heat and let chocolate melt for 5 minutes or so, until perfectly smooth. Lift chocolate pan out of the hot water, and beat in the butter a tablespoon at a time. Then beat over the ice and water until chocolate mixture has cooled to spreading consistency. 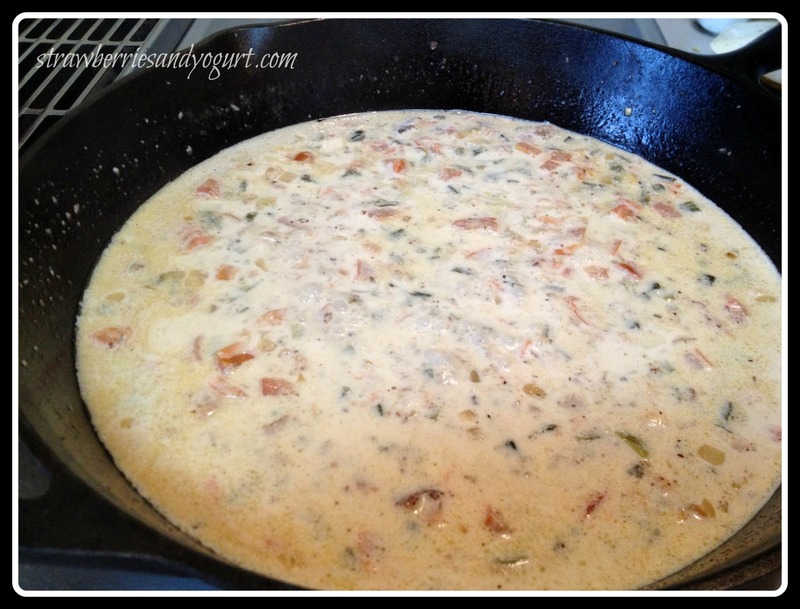 At once spread it over your cake with spatula or knife. We had some friends over for dinner and I made this for dessert, which is why there’s only a single picture of the cake. Also, I moved the cake when it was cooling and a corner broke off completely. This icing worked as the perfect glue. If you have the time, make the cake in the morning and the icing in the afternoon, when the cake has had plenty of time to cool. 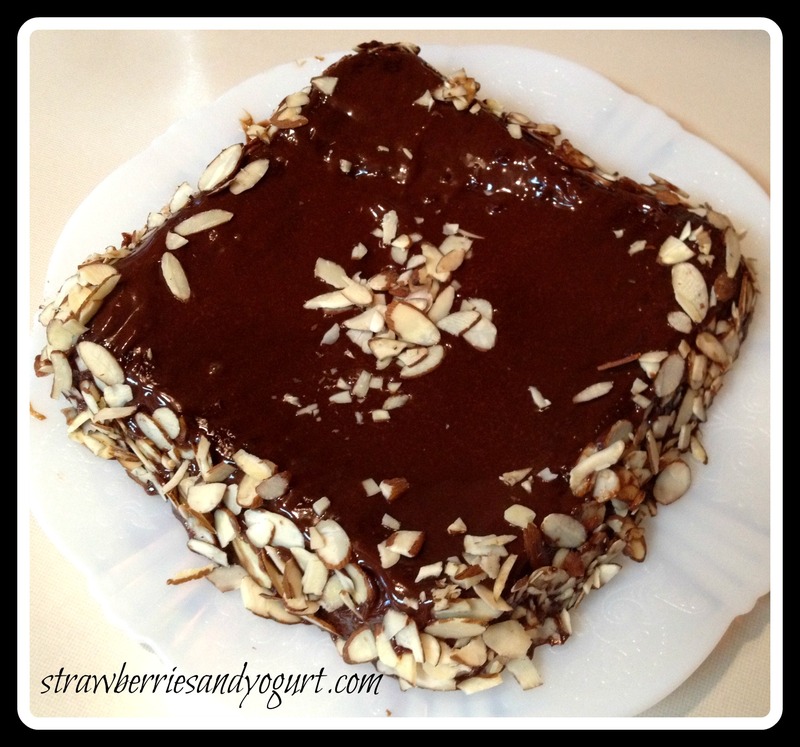 BTW, this cake is dense and moist; the almond and chocolate balance each other perfectly. Husband and I are both big fans of the almond. He loves an almond covered in dark chocolate. I love almonds covered in yogurt. So I thought this would be a great alternative for both of us in the “covered almonds” department. 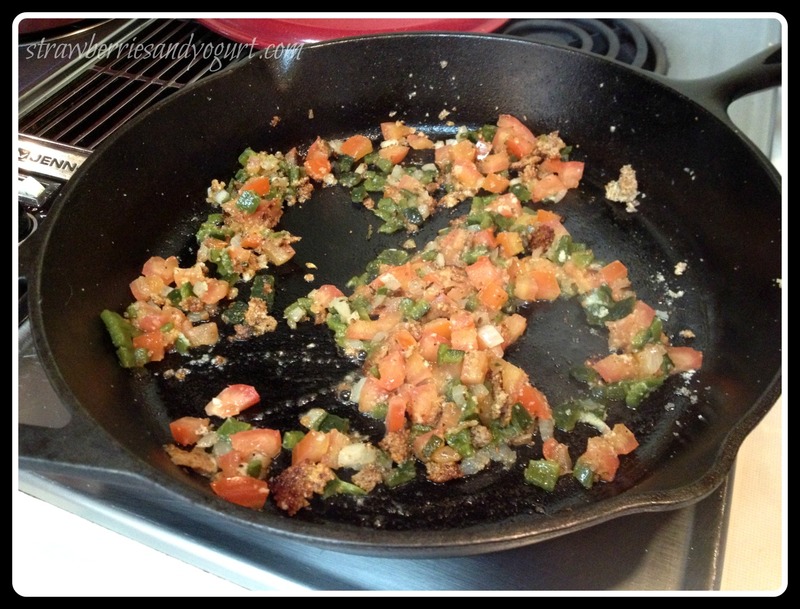 1/2 tsp ground chipotle chile powder – I used cayenne pepper. 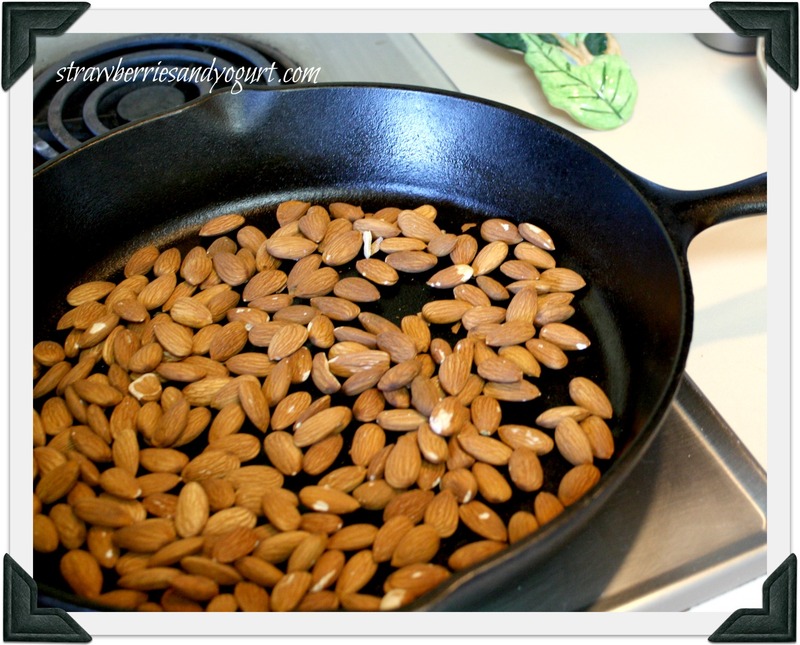 Place the almonds in a medium nonstick skillet; cook over medium heat for 6 minutes or until lightly toasted. Combine the remaining ingredients in a 2-cup glass measure. Microwave at HIGH for 30 seconds. 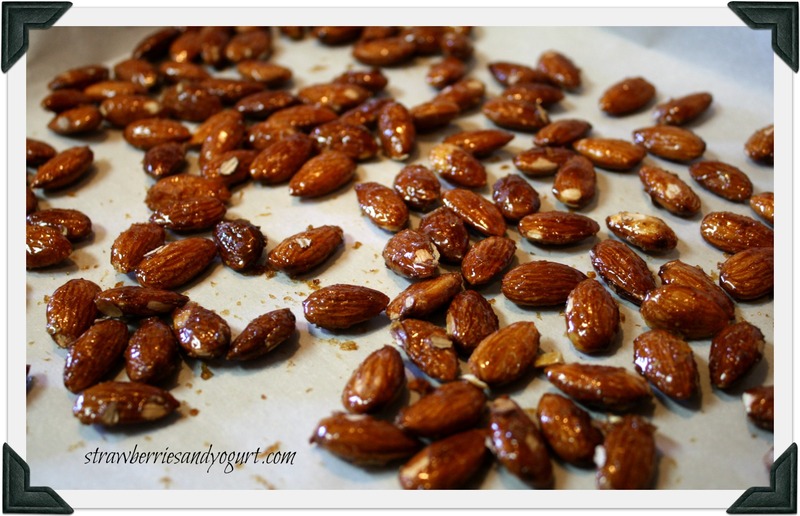 Arrange almond mixture on prepared baking sheet in a single layer; let stand 10 minutes. Break apart any clusters. We both really liked these. The spice adds a little kick of an aftertaste. 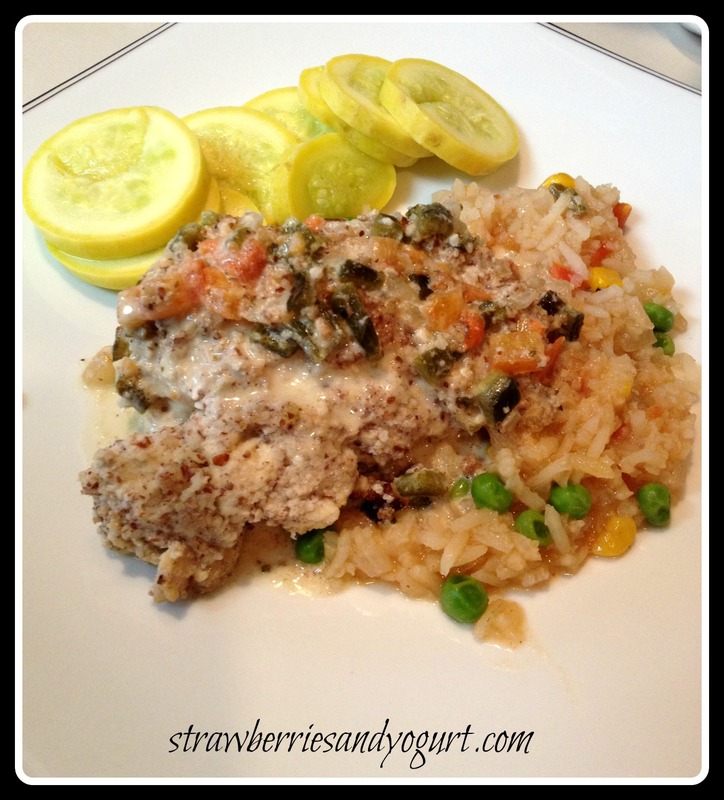 This would be a great recipe to triple and give out as a homemade Christmas present.